The story of the Caffo family dates back to the end of the 19th century when Master Distiller Giuseppe Caffo, born in 1865, began distilling grape pomace. In 1915 he realized his personal dream by taking over an old distillery at Santa Venerina on the slopes of Mount Etna, with the aim of putting his production philosophy into practice and passing on to his children the knowledge he had acquired. Initially production was based principally on spirits, alcohol and derivatives of wine production but, gradually, the Caffo distillery began producing - and introducing the market to – liqueurs made from ancient recipes. The still very young Sebastiano Caffo (born in 1901) began learning all the secrets of this ancient and noble profession from his father, soon becoming a “Master Distiller” himself, and he demonstrated that he could manage, apart from the family’s establishment, other distilleries as well, including that of San Paolo in Noto and that of Castiglione di Sicilia. In the meantime the other “Caffo Brothers”, the sons of the founder, had gained experience in the sector, having returned after twenty years in Australia with the intention of building up the family business. The “Fratelli Caffo - Distillerie di alcol, brandy e tartarici” company thus came into being. Its first entrepreneurial decision was to purchase a sizeable facility at Limbadi in Calabria, a place that was famous for the production of excellent red wine. At its helm today are Giuseppe Giovanni Caffo and his son Sebastiano Giovanni, who have succeeded in combining experience and innovation, making the activity of the family’s distillery grow and transforming it into the fulcrum of a modern group with subsidiaries even abroad. Distilleria Caffo’s flagship product is the “Vecchio Amaro del Capo”, a liqueur made from Calabrian herbs that derives from an ancient recipe of the Region that has been refashioned and improved thanks to the experience acquired by the four generations of the family. “Vecchio Amaro del Capo” represents 70% of the company’s turnover. It contains the active ingredients of many beneficial herbs, flowers, fruits and roots from the generous land that is Calabria, infused in extremely fine alcohol, helping one to digest and giving a pleasant sensation of wellbeing. Its gentle and rather fruity taste appeals even to more delicate palates that are perhaps not used to very bitter amari. Among the herbs that make up the infusion, many possess tonic/digestive properties like bitter and sweet oranges, liquorice, mandarins, camomile and juniper. 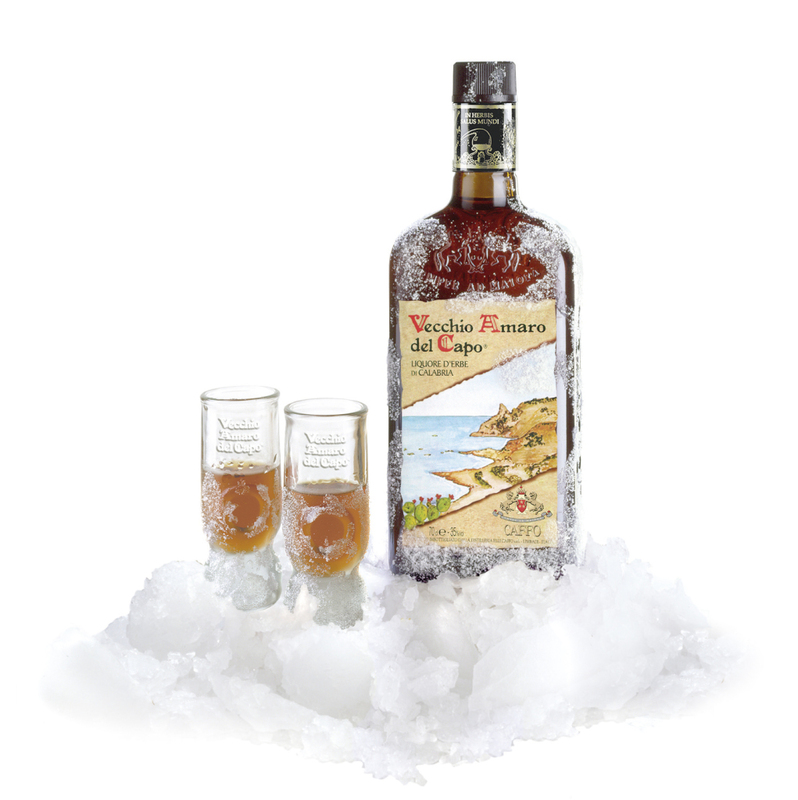 As is traditional in Calabria, it should be drunk ice-cold (at –20° C., in its own characteristic little glasses). In 2010 Vecchio Amaro del Capo was the only Italian amaro awarded a Gold Medal at the Concours Mondial in Brussels. 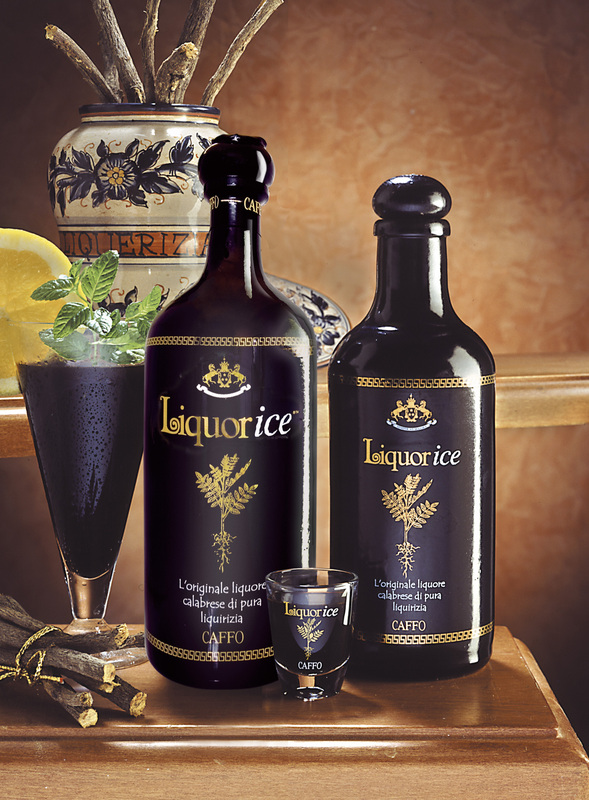 Another important product in the company’s portfolio is “Liquorice”, the first liquorice-based liqueur invented by Distilleria Caffo and launched in 1995. 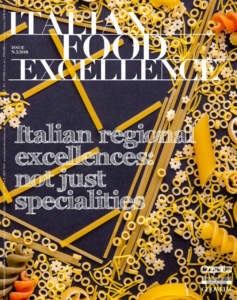 The variety that grows in Calabria (‘liquirizia Cordara’), thanks partly to favourable weather conditions and to very suitable soils, has always been considered the best in the world. It has lots of beneficial properties: it is antiseptic, emollient, cariostatic and anti-inflammatory; its pleasant flavour helps clear one’s throat and voice and freshens one’s breath. All the methods approved by Caffo conform to the production regulations for Calabrian DOP liquorice and allow one to obtain a natural product of extremely high quality, which does not contain any added sugar, colouring matter or additives. Drunk on its own and ice-cold, Liquorice makes a delicious digestif at the end of a meal, to be served in its characteristic little glasses. It is also a tasty ingredient for creating “black cocktails” such as “Hot Ice” (4 cl. boiling hot Liquorice and 3 cl. cream); “Liquorice on the rocks” (2/10 Liquorice; 1/10 Limoncello, 7/10 tonic or soda water and ice) and “Spitfire” (1/3 Liquorice; 1/3 Baileys and 1/3 Grand Marnier). 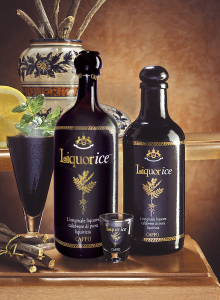 Liquorice has an elegant and refined packaging, available in various containers: in 3 cl and 50 cl ceramic bottles, or in 1-litre glass bottles. Caffo is synonymous around the world with Calabria and with the cultural values that this Region conveys through its agricultural and food products. 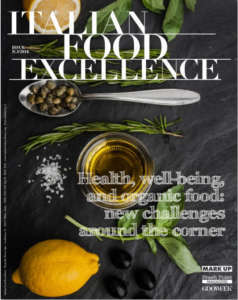 In order to attain high standards of quality and consolidate its image on markets all around the world, Caffo has built up a real production value chain, “from the land to the distillery”, based on the naturalness of the ingredients it uses. Everything starts on a 16-hectare estate where many of the officinal herbs and fruits are cultivated that give a distinctive character to typical Calabrian liqueurs. 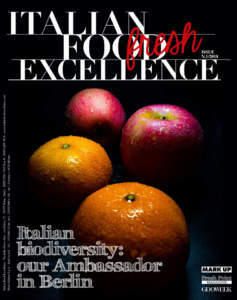 The other ingredients come from Calabrian farms situated near to the distillery or from collectors of wild plants. Amongst the suppliers there are a large number of organic farms, and in general Caffo tends to work with small firms that do not treat their products with fungicides. Since 2001, Distilleria Caffo’s company quality system has been in accordance with international standard ISO 9002, and since 2004 this has been converted to the new norm, ISO 9001:2000 (vision 2000), which calls for one to respect high standards of quality, with continuous monitoring of the various stages of production and marketing. A further conversion took place last year with the application of norm ISO 9001:2008. Since 2004, certification for the processing of Organic products has also been carried out. The production facilities are in possession of the necessary requirements foreseen under H.A.C.C.P. food regulations, such as those governing the prevention of fires, Law 626, etc. In 2009 the company also obtained ISO 14001 and ISO 22000 certifications.